spiderman. . Wallpaper and background images in the Spider-Man club tagged: spiderman. hi! this is tinku from india. i love spiderman. i am a very big fan of him. 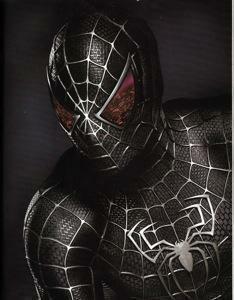 i wanna just see tobey i live, he is rocking in this black suit, we say in our language as kevvu keka. Emma Stone at Battle of the Sexes Londres Premiere signing Spider-Gwen "Cooool"